An extensive international search led UBC to one of its own to serve as the next Dean of UBC Okanagan’s largest faculty. Prof. 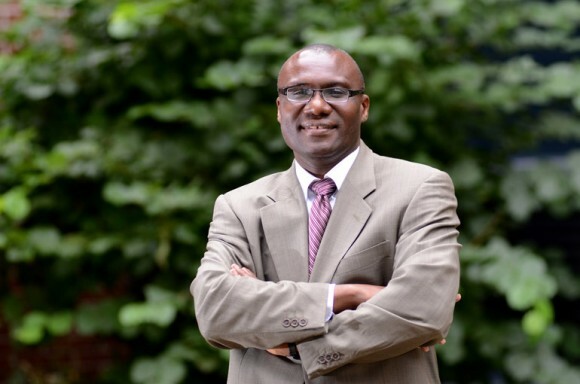 Wisdom Tettey, an internationally acclaimed scholar with extensive academic leadership experience, has been appointed Dean of the Irving K. Barber School of Arts and Sciences. His appointment for a five year term beginning July 1, 2015, was approved by UBC’s Board of Governors this week. Tettey has served as Dean of the Faculty of Creative and Critical Studies on the Okanagan campus since joining UBC in July 2011. Before coming to UBC Okanagan, Tettey was Interim Dean of the University of Calgary’s Faculty of Communication and Culture for two years and later appointed Associate Dean-designate for Interdisciplinarity in the Faculty of Arts. Tettey holds a bachelor's degree in political science and in Russian, and a graduate diploma in communication studies from the University of Ghana. He also has a master's degree in political science from UBC, and a PhD in political science from Queen's University. Tettey was a Killam Resident Fellow at the University of Calgary and a Visiting Research Fellow at the Ghana Centre for Democratic Development. In recognition of his accomplishments and contributions to intellectual life in Ghana and the global academic community, Tettey was named a fellow of the Ghana Academy of Arts and Sciences in 2013. The Irving K. Barber School of Arts and Sciences has more than 4,000 students enrolled in discipline-based and interdisciplinary undergraduate and graduate degrees in the sciences, social sciences and humanities. The faculty was established in 2005 through an endowment from the late Irving Barber, who provided the resources necessary to enrich the learning experiences of arts and science students through innovative teaching methods, experiential learning opportunities, and outstanding learning resources.